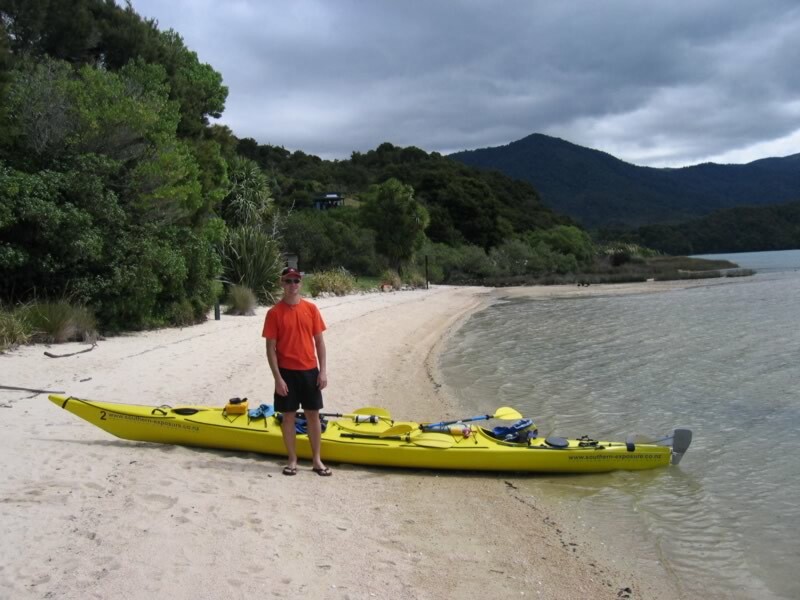 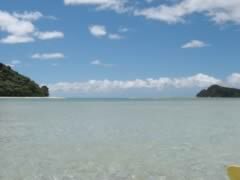 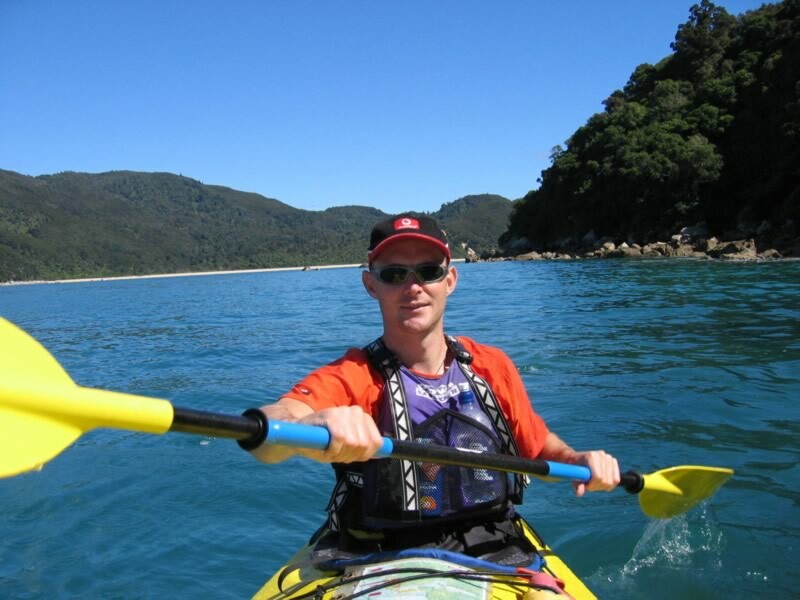 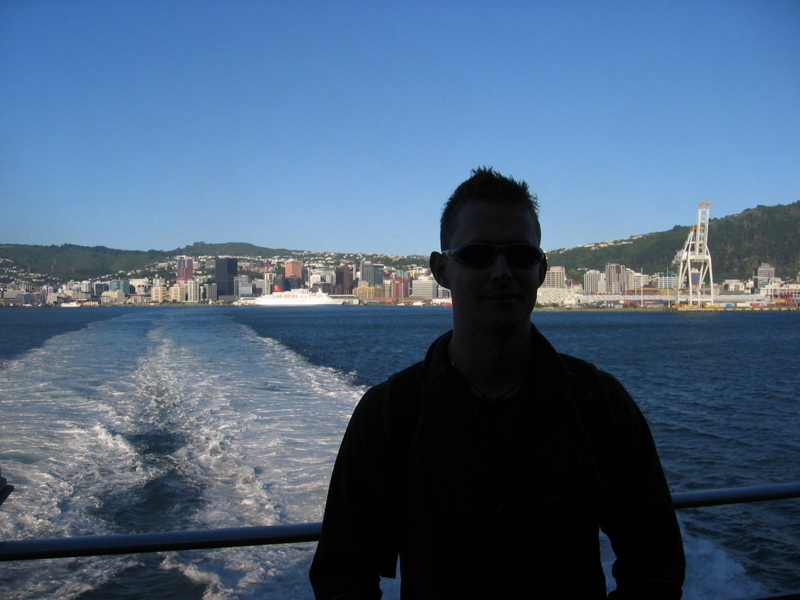 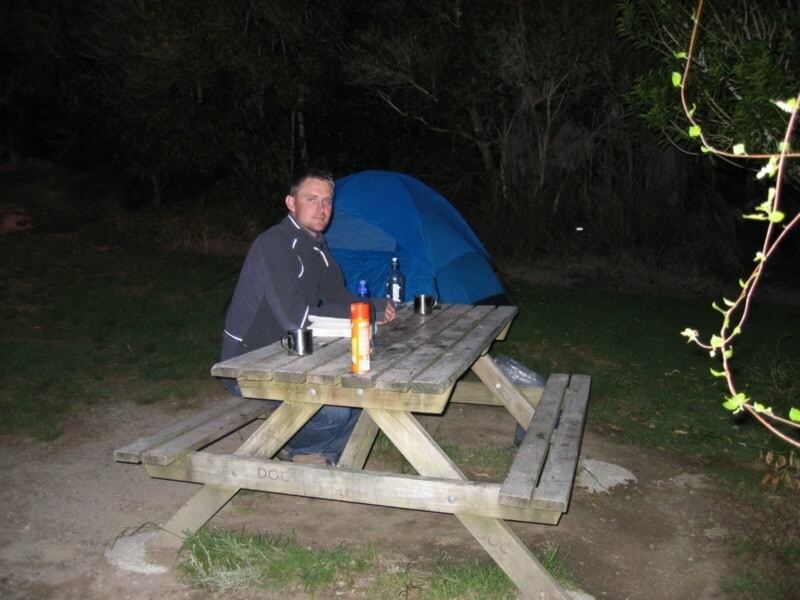 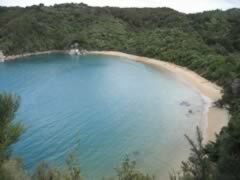 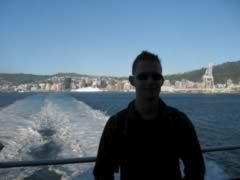 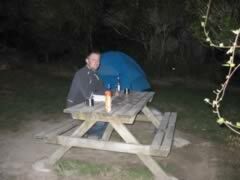 February 2005 – Ronelle and I went to the Abel Tasman National Park, near Nelson, at the top of the South Island, New Zealand. 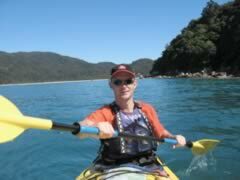 We hired a kayak and spent 5 days kayaking around the park, camping at the DoC campsites. 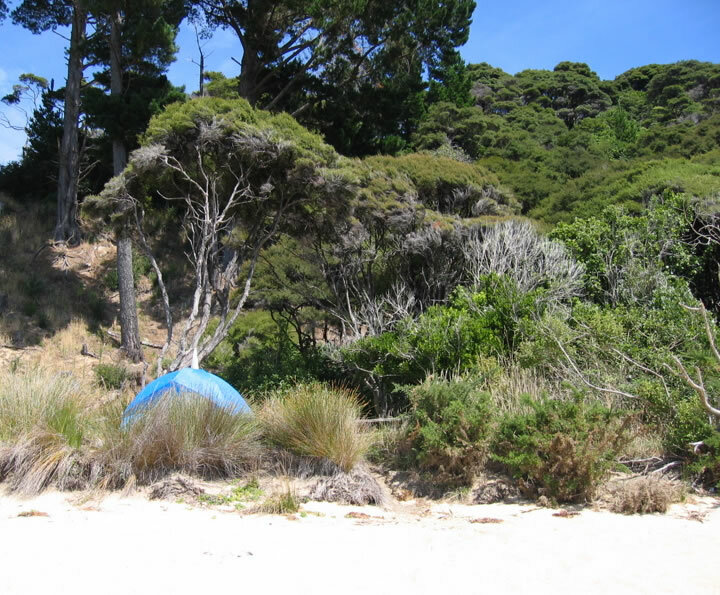 This was one of our campsites, looking out to the sea, and the view from the beach – it was true waterfront style living. 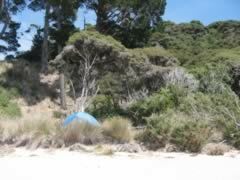 Cost – about $5 per night. 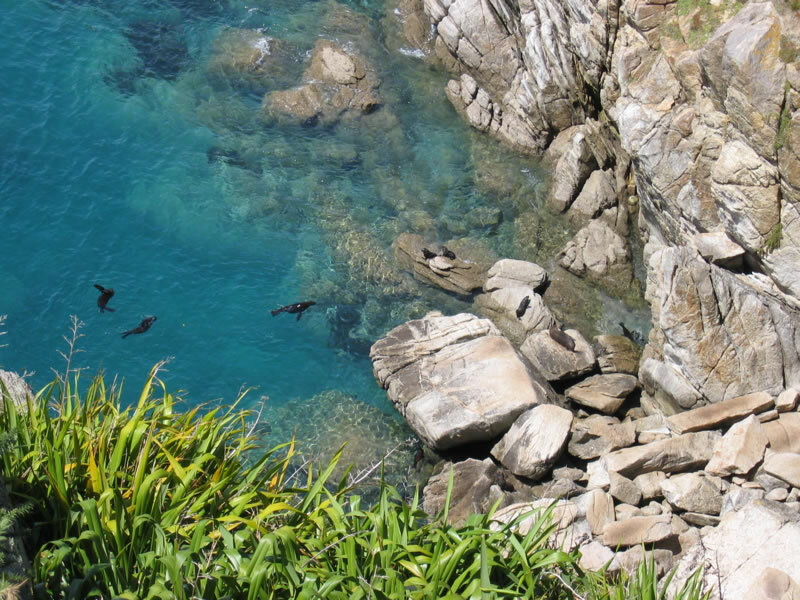 We went for a walk up to Point Separation, where we came across a family of seals. You can see a couple of the babies there – they seemed to be learning to swim. 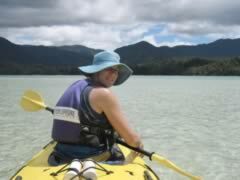 We were closer to the seals one day when paddling around an island they live on. 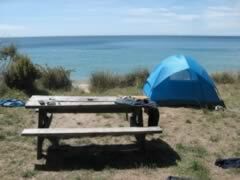 Second to last day, the wind blew up in a big way – what else to do but sit it out, sheltered fom the wind, reading our books?